You finally decided to build your own Web site, but you don't want to spend a lot of money to have it hosted by someone else, and you don't want to host it yourself. What do you do? 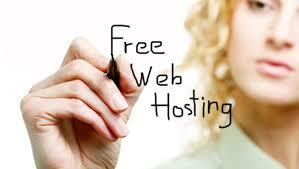 There are a lot of free Web hosting firms, each with their pluses and minuses. Krissi Danielson explains what to expect from a free Web host, how to choose one, and the pros and cons of using some of the better known free Web hosts. It may be true that there's "no free lunch in this world" and that "you get what you pay for," but it's still nice to get stuff for free. This is certainly true of Web hosting. While you can expect a higher quality of service and feature packages from paid Web hosts in nearly all cases, free Web hosts still serve a fun and important purpose for personal Web pages and hobby sites. In addition, they offer a great way to put up a site and build a regular readership without spending any money; you can always switch to a paid host later on. There are a bazillion sites out there offering free Web hosting. If you type in a query on "free host" from Google, you are likely to be swamped with results that include everything from the big names like Yahoo Geocities and Tripod to obscure specialty sites. Each one has a different package offering in terms of available space, permitted traffic, allowable file types, and other features. It can be overwhelming to try to pick the right host to meet your needs. What should you be looking for? As mentioned above, there really is no free lunch. By choosing a free Web host, you are going to have to accept some form of advertising. This is how the free hosts make their money. In most cases, the advertising comes in the form of a banner or pop-up ad on your site. Before signing up for a free Web host, it is a good idea to check exactly what type of advertising to expect. Obviously, embedded banner ads on your site will be far less annoying to your visitors than popup ads. However, even some embedded banner ad hosts may be better than others. Check to see whether you can be allowed to control the placement of the banner, for example. If you can put the banner at the bottom of the page, that could be preferable to being forced to run the banner ad at the top. Regardless of whether the host offers banner ads or popups, it is also a wise move to visit some other sites hosted by the particular company you are considering. Most hosts have a directory or list of featured "showcase" sites on their home pages. Looking at these lets you get an idea of the types of ads you can expect to appear on your site. If you find a host that claims it will not require you to run ads on your site, the site may require you to click on banners in its file manager page as its alternate way of making money. However, you will want to check the fine print very carefully in the terms of agreement. Some hosts that offer ad-free free Web hosting may be collecting your email address and selling it off to marketing firms that send unsolicited commercial email. In this case, it's possible to set up a dummy email account just to get the free space, but you may be better off accepting the banner ad. If you very strongly wish to avoid banner ads, you are probably better off investigating a low-cost paid host. There are hosts out there that charge as little as $5 per month for a reasonable amount of Web space. The most obvious feature you want to look for in selecting a free Web host is the amount of space available. Most hosts offer anywhere from 2 MB of storage space to a gigabyte or more. If you will be hosting streaming media files or large graphic files on your site, you should look for the maximum amount of space you can find. If, however, you are just looking for a place to put up a home page with a few HTML pages and simple graphics, the chances are slim that you will need more than 5-10 MB of space for your site. Another important feature to look at is the allowable traffic. This usually is expressed in terms like "data transfer" or bandwidth. This refers to the amount of traffic your site can take. If you expect your site is going to have thousands of visitors, you will want to look for a host with unlimited traffic. For simpler Web pages, it is unlikely that you would bump up against the usual limits, such as the 3 GB data transfer limit on free Geocities Web pages. Consider, as well, how you intend to generate your site. Do you like the idea of creating your pages and posting them on your site through a site-building interface? If so, you will want to look for site building and creation tools when choosing a free host. On the other hand, if you prefer to code your HTML by hand or use a tool such as Dreamweaver to create HTML files on your PC before posting them to the Internet, you may want to look for a Web host that allows FTP file transfer. A less apparent but still important factor is the formatting of the URL for your free Web space. The best type of URL is probably a subdomain, which would let you have a URL like http://yourspace.freehost.com. Most of the leading free hosts do not offer subdomains, however, so it's more likely to expect a URL like http://www.freehost.com/yourspace, which is not too unwieldy. Watch out for hosts that give you convoluted URLs like http://www.freehost.com/members/subdirectory1/subdirectory2/ ~yourspace. You don't want a URL that's going to take you forever to type, not to mention that if you are using the site for anything other than a hobby, shorter URLs tend to make a better impression on your visitors. ◉ Does the host offer CGI scripts? If so, are you limited to preformatted scripts or can you upload scripts of your choice? ◉ Do you get any free email addresses as a part of the package? ◉ Is there tech support available if you should have a problem? ◉ How often do you have to update the site? (Some hosts will expire your account if it goes a specific amount of time with no activity). ◉ Does the host offer you traffic figures, or the ability to use a hit counter? ◉ Does the site allow domain hosting? How reliable are the servers? A free Web site does you no good if it's never up and running. As mentioned above, free Web hosts are a dime a dozen and the features are different among all of them, but even if you find two hosts with an equal feature set, that doesn't mean the hosts are equally good options. The biggest risk you run when choosing a free host is that the host may go out of business, taking your site with it. This is also true of inexpensive paid hosts, to an extent. It's wise to always keep backups of your files on your own computer, but who wants to be changing URLs all the time every time a host goes out of business? For this reason, it can be a good idea to stick with a company that has a proven track record and has been around for a few years rather than a company you haven't heard of.